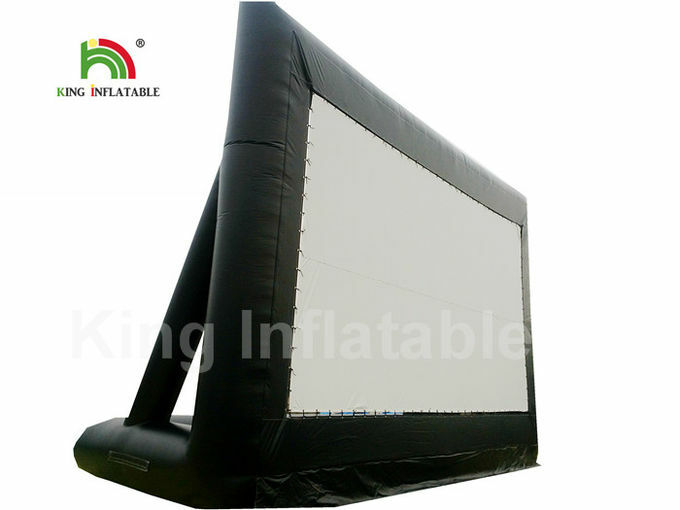 Inflatable movie screen is an inflatable PVC framework with an attached projection screen. The stability of the framework is guranteed by a special low-noise fan, which backs up the high pressure inside uninterruptedly. 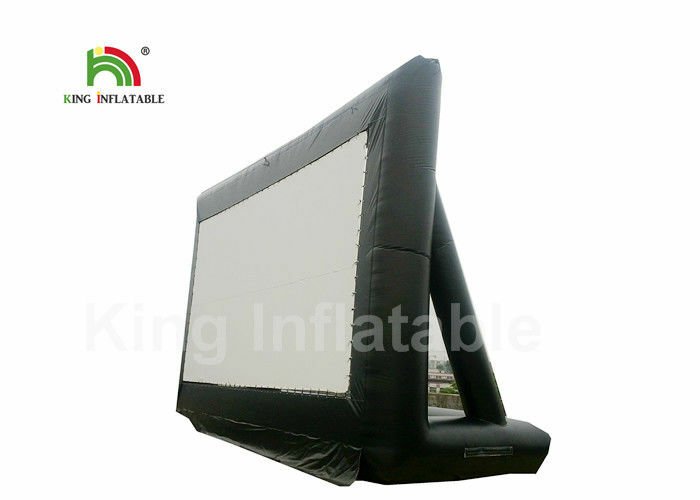 It is so dependable that even long-term performance over several weeks are not a problem.What's more,our screen will not be easily blown by the wind, causing the playback screen to move, and there will be reinforcement support in the middle of the bracket without causing the frame to collapse in the middle. The material we choice is 0.55mm PVC tarpaulin,also called 18oz PVC tarpaulin,it’s heavy duty SGS certificated with fire retardant and cold-resistant features,also through UV and RoHS test.It’s the most popular material for producing sewing inflatables. Application Advertisement, rental business, parties, clubs, parks, playing center, family center, zoo, squares, out door entertainment, kindergarten, performance, backyard fun and other business functions. once broken, it’s easy to repair, get it fixed and working again. A1. Shipping methods: Ship by sea, by air, by courier (DHL/UPS/TNT/FEDEX), and freight charge can be prepaid or collected. Q2. Can you design one specially? A2. 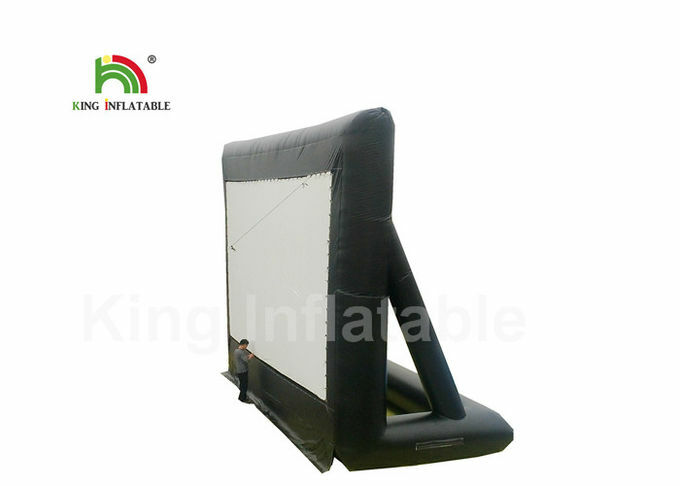 Give us an idea, we can offer the design of inflatable games like inflatable slide, inflatable water slides or amusement parks, activities for customers' project. Q3. What are the payment terms between in-stock products and custom products? A3. Please note that except in-stock products, all of AIER's products are order to make products and are subject to a 50% deposit before production, balance payment before products delivery after the products are finished.As for in-stock products, customers will have to pay in full before delivery. Q4. How is quality control? A4. After goods finished production, our QC will check one by one. Strict quality control brings us regular orders!